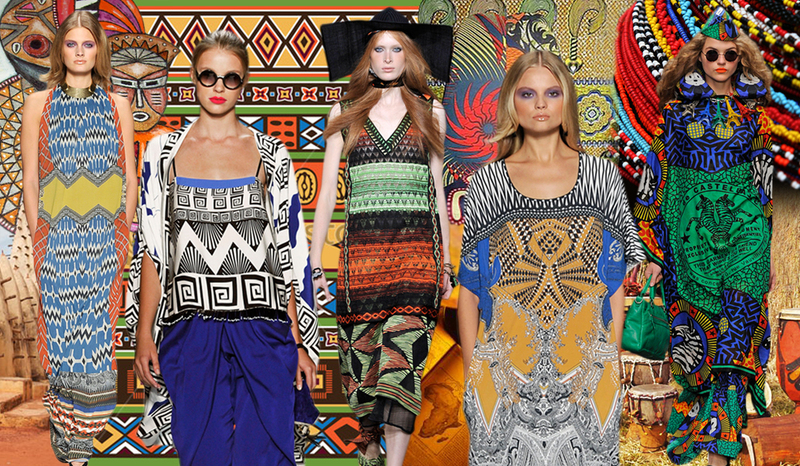 Africa remains an exciting source of inspiration for designers as there is such a wealth of print and ornamentation. Since tribal communities have always placed great value on the decoration of architecture, artifacts, textiles and utility items this means that there is a vast source of starting points to work from. Mood boards are a starting point for designers to create their ranges from. 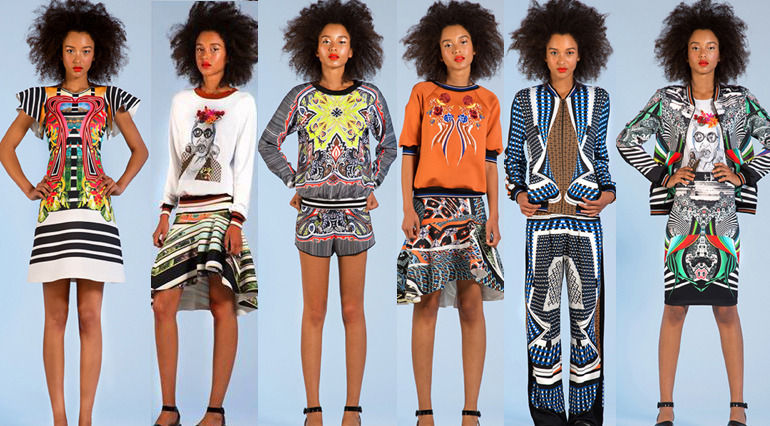 In the range below, African motifs and ornamentation are combined with strong graphics, photo prints and vibrant colour combinations to create a dynamic and original fashion statement. 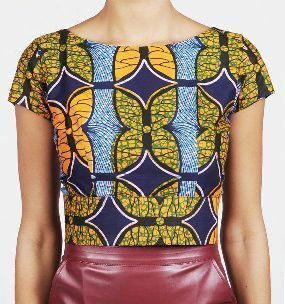 Dutch wax fabric provides huge inspiration for many designers and is used by many in a highly contemporary way that allows creative expression of colour and mix-matching of prints. 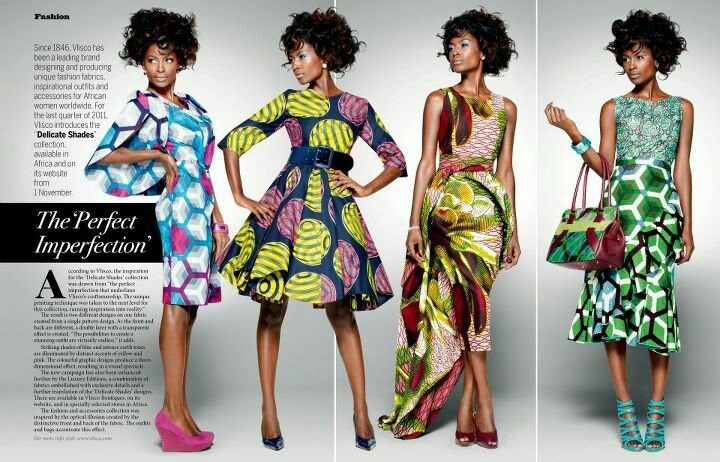 Lisa Folawiyo from Nigeria is the Queen of the Ankara, embellished garment. 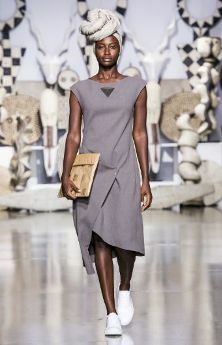 Her stunning designs are exuberant, using mix and definitely-not-match fabrics in layers and structures that pay homage to her background while being excitingly very modern. 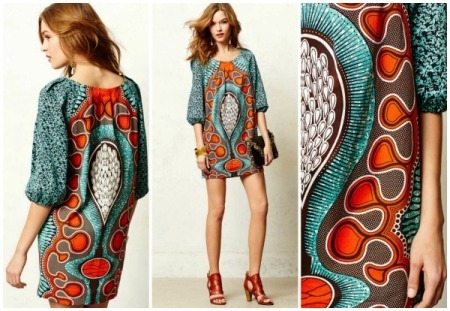 Zuri dutchwax fabric dress, Sandra Zhao and Ashleigh Gersh Miller. 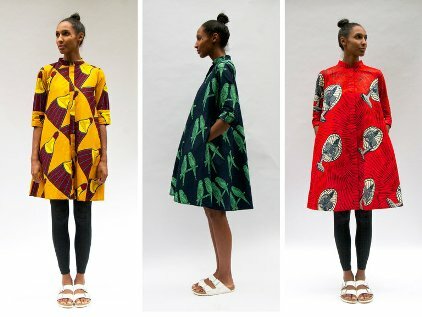 Below are some of the best contemporary designers working on the African continent who are creating their own unique styles and fashion lines. 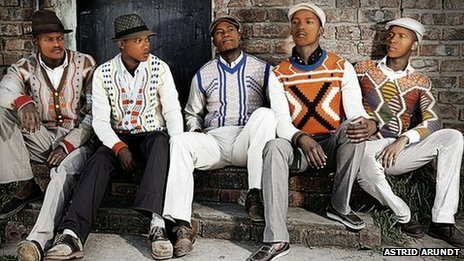 Laduma Ngxokolo pays tribute to his African identity by producing an exciting and innovative men's knitwear range that pays homage to his past and to his own deeply personal traditions and cultural experiences. 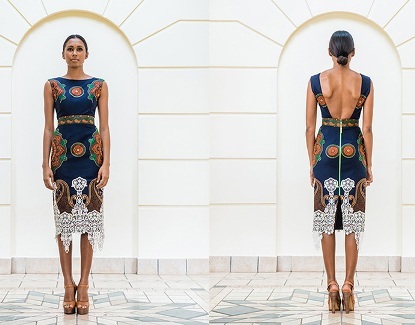 The designs reflect the famed beadwork of his Xhosa clan. 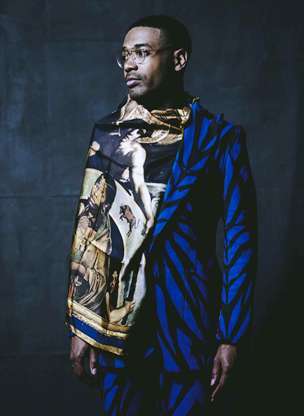 He has aimed it at young men who have come through their initiation rites to enter society as young men, culturally aware of their past but modern enough to pursue self-expression. 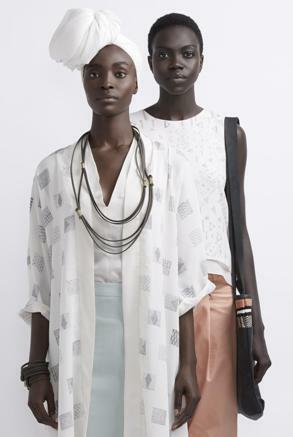 These are statement pieces of attire, befitting their wearer's passage of ritual. 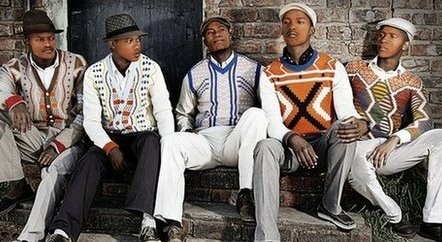 This Company custom makes Coats and Jackets from the traditional BASOTHO blanket. 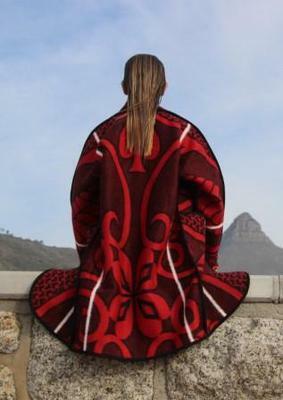 This iconic blanket is re-envisioned as contemporary stylish coats and jackets for both men and women. 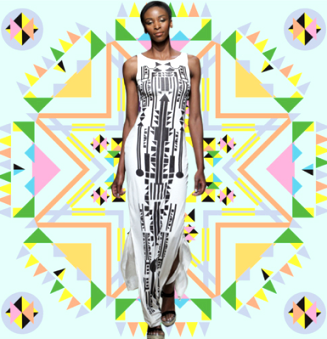 Sindiso Khumalo is currently at the top of her game, creating a unique range of Womens Wear which reflects both her architectural background and her Zulu and Ndebele heritage. 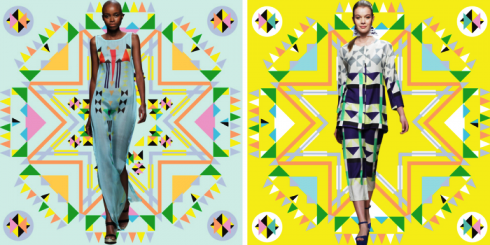 She uses bold, bright colours and geometrically styled prints in her fabrics while incorporating simple but dramatic outlines in her garments. 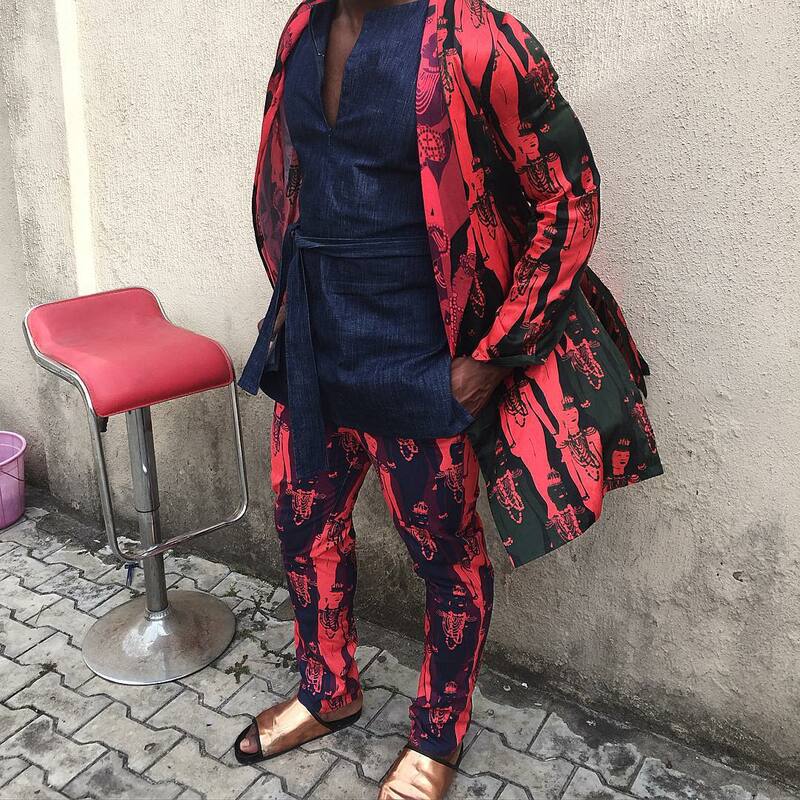 Adebayo Oke-Lawal is a Nigerian designer who recognizes that fashion can be a way to communicate status, wealth, personal taste and success. 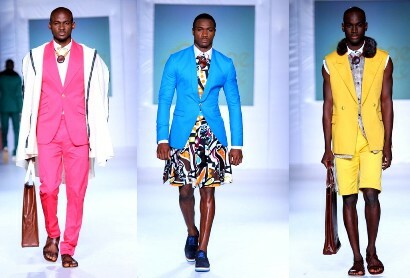 His signature style includes bold, solid-coloured suits, printed fabrics and fila hats to adorn and complement the outfit. While fila hats are traditional attire and different tribes have different shapes, the styles have converged and anyone can wear any fit. 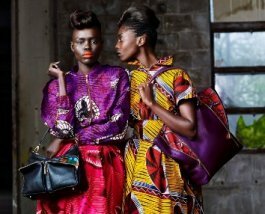 Selly Raby Kane’s collections are primarily focused on using bright colours with solid darks to create high contrasts. 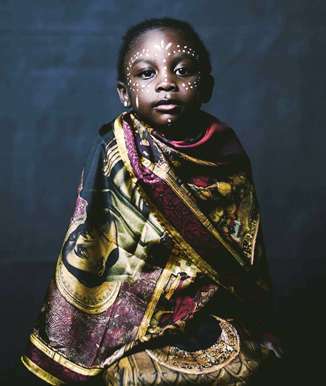 Quilted wax prints, patched, sewn and embroidered embellishment in the Sengalese bayefall style of her homeland makes her garments very individualised, allowing the wearer to express self expression and flair. 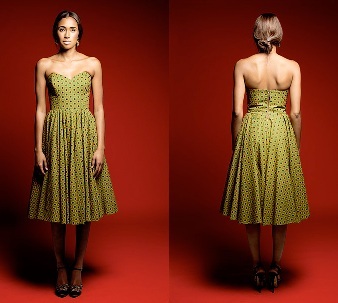 Ikire Jones is a collaboration label between designer Wale Oyejide and tailor Sam Hubbler. 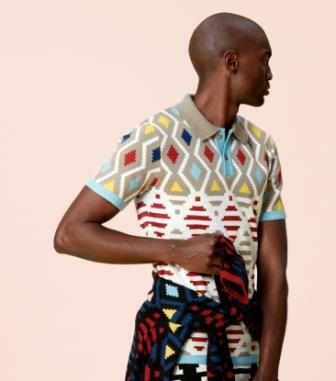 It strives to successfully combine Western African heritage with Italian tailoring to produce a unique identity in all its menswear products. 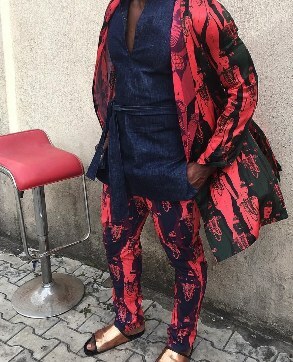 The brand seeks to tell stories whenever it releases a new collection, hoping to have some sort of social impact as well as an aesthetic one. 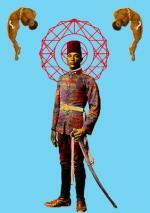 After Migration tells the story of African asylum-seekers living in Italy. TAIBO BACAR is both a high fashion and ready-to-wear womenswear brand that is now fully established after being created in 2008 by the Mozambican male designer Taibo Bacar. The line is known for sensuous, cut away shapes that celebrate womens’ curves and luxury or dramatic fabrics that are often embellished with lace or beading. 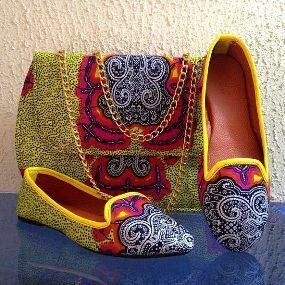 Small clutch bags accessorize the outfits. 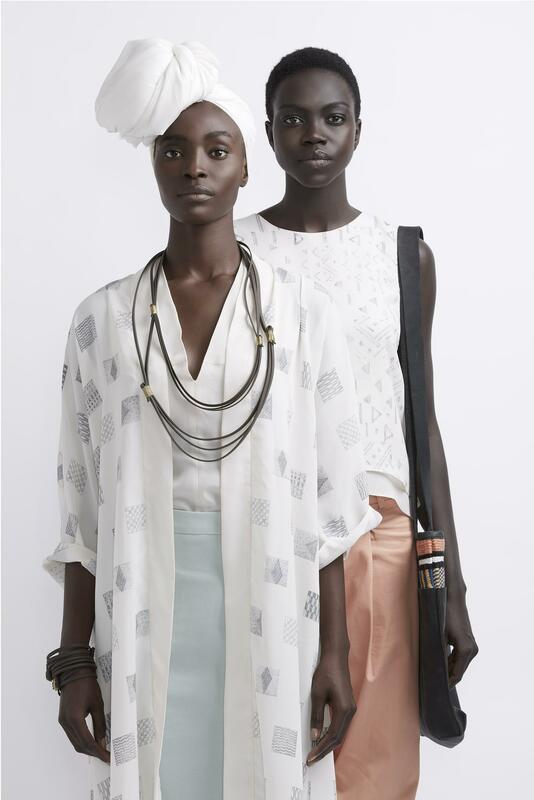 Rwanda based fashion label, Mille Collines is a sophisticated brand of clothing, accessories and jewelry for the modern woman who appreciates where she comes from but wants something... out-there. 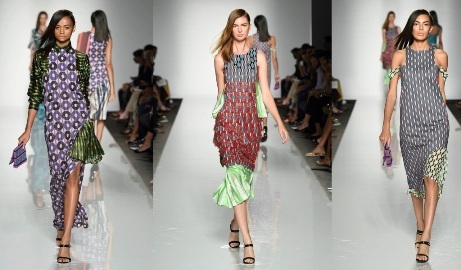 Fluid lines, turbans, strings of loose beads, embroidered glass beads on panels of dresses, layers of cloth, tonal prints, this all adds up to a luscious striking effect....truly eye catching. 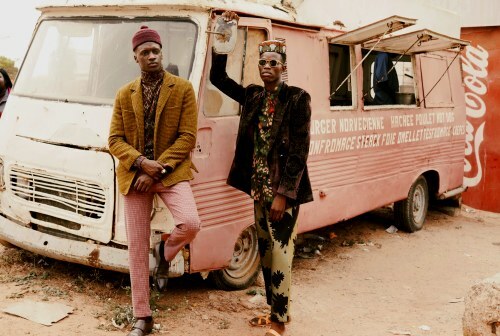 Luxury magazine GQ went to Senegal and filmed models and local Dakarois on the streets. This is an extremely exciting photo shoot and will probably have a major influence on the way people dress. 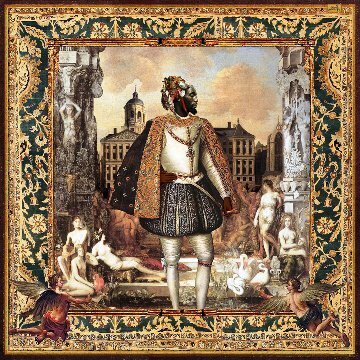 The fantastic freedom it will give to allow pattern about pattern to be layered allowing a creativity to individual expression that will capture the imagination and soul of not just fashion followers but those who choose to express their personality in their dress. 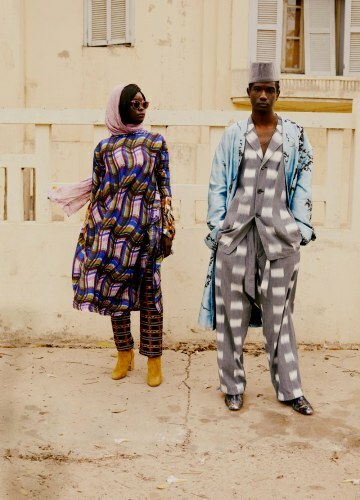 Do look at this link, We went to Dakar, Senegal... it will delight and inspire!